Godrej Properties — Shareholder Value Creation or Owner Value Creation!!!! Godrej is the second most trusted brand in India. The real estate arm has been executing on a string of exciting projects and been getting on a bigger and bigger treadmill on execution. The company is often touted by investors to grow 10X in the next ten years. The company projects itself having a differentiated, asset light model. A brief look at the latest shareholder presentation here will reveal all the projects that the company is executing complete with beautiful pictures of the projects being executed like the one seen below. A close look at the project pipeline and string of projects that the company is executing leaves in no doubt that the company has got the potential to grow 10X in the next ten years. The bigger question is how have the shareholders fared during this time? 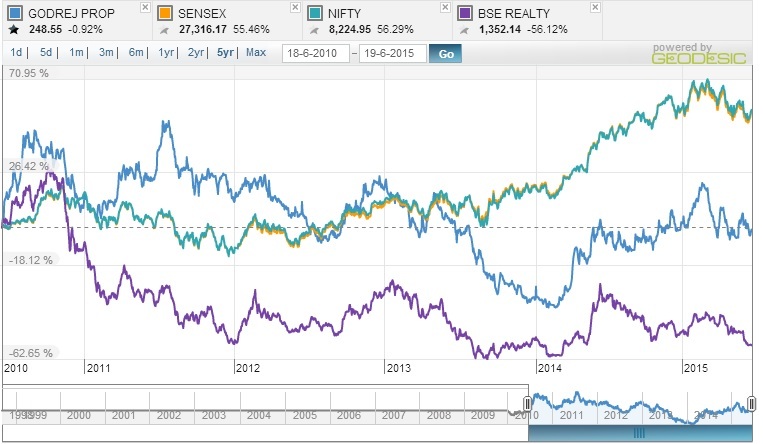 In the last five years, Godrej Properties has returned (1)% compared to +55% and +56% for Sensex and Nifty. 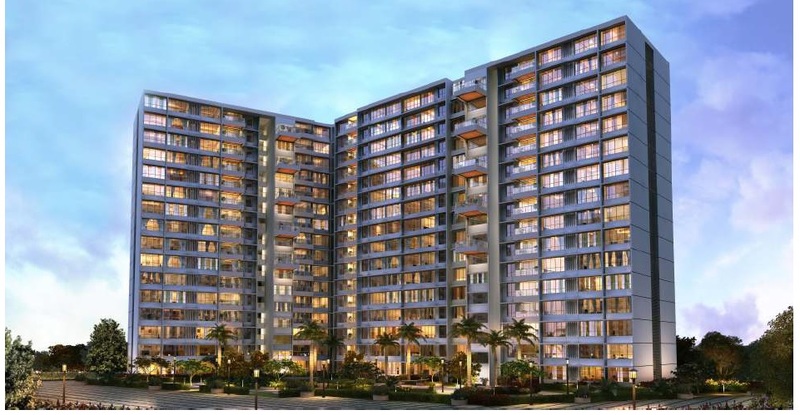 The realty sector has been in a recession and has returned (56)% in the last five years. While the shares have fared better than the BSE realty, it has not created any shareholder value in the last five years. Given that one could have earned 8% on deposits, a shareholders have assumed a return free risk of 46% (8% compounded over 5 years) One might make the argument that the company does not control the share price and lots of investors might have paid a high price for the stock back in five years. So, we will just let the facts rest and move to the next step. Let us hold the management responsible for capital allocation and ensuring the fundamentals are creating shareholder value for the long run. Like we have seen before here, paying a dear price even for a good asset will risk the returns you get from it. Looks impressive? Until you realize what it took for them to deliver this growth and profit. The below chart shows share outstanding and EPS delivered on the above growth. While some like to adjust the stocks splits backwards, I have just done this forward. The company has been diluting shares outstanding at the rate of 9.5% CAGR for the last five years. It is just a staggering number. One might make the argument that one need to participate in the rights issue and cannot consider it a dilution. If one needs to keep pumping more money just to maintain one’s share, it is share dilution, under any other name like QIP, capital raising, rights etc. This means that the company needs to be growing earnings at 9.5% just to maintain the same level of earnings. And wait till you hear this, the cost of debt for the company is 11.8% and yes, the debt levels have been going up as well. Short term debt is at 2,700 crores and long term debt at 300 crores at March 2015. The bigger piece of problem is that the inventories have gone up by 1,000 crores between 2014 and 2015 and is now standing at ~4,700 crores.The share holder equity in the company after the repeated capital infusion is 1,850 crores. So, the company has using shareholder money, bank debt and advance money from owners of current projects to bankroll future projects construction and land inventory. So, much for the differentiated asset light model and so much for the growth touted in the presentations. While a rosy eyed investor can look at the assets of Vikhroli and say that the purchase was a bargain, it was for Godrej Industries and the promoters but not for the minority shareholders. While we do not dispute that the potential of Godrej to grow 10X in the next 10 years, we do share our skepticism on how much actual shareholder value will created in the process. Disclosure: Own Godrej Properties. Evaluating whether it is a mistake.